Vocational Experts – Rachel Hawk, owner of WORK – WISE, Inc. has worked in both the public and private sectors for thirty years providing vocational analysis, research, training and job placement to adults, including those with disabilities. For the past twenty years, she has specialized as a vocational expert and consultant. 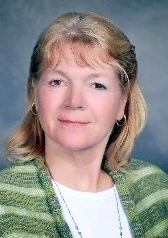 Her forensic work involves analysis of family law, workers compensation, personal injury and employment law cases. As a member of Bay Area Vocational Experts (B.A.V.E. ), Ms. Hawk helped establish standards used in family law cases. This set of standards was reviewed by peers, attorneys and judges to insure it met the needs of all involved in family law cases. Ms. Hawk is a Diplomate with The American Board of Vocational Experts, a member of International Association of Rehabilitation Professionals and The Collaborative Council of The Redwood Empire, an organization in the North San Francisco Bay Area devoted to divorce without court. Rachel Hawk, owner of WORK – WISE, Inc. has worked in both the public and private sectors for thirty years providing vocational analysis, research, training and job placement to adults, including those with disabilities. For the past twenty years, she has specialized as a vocational expert and consultant. Her forensic work involves analysis of family law, workers compensation, personal injury and employment law cases. 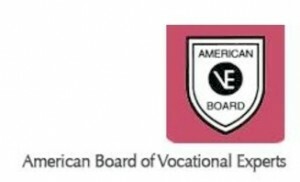 As a member of Bay Area Vocational Experts (B.A.V.E. ), Ms. Hawk helped establish standards used in family law cases. This set of standards was reviewed by peers, attorneys and judges to insure it met the needs of all involved in family law cases. Ms. Hawk is a Diplomate with The American Board of Vocational Experts, a member of International Association of Rehabilitation Professionals and The Collaborative Council of The Redwood Empire, an organization in the North San Francisco Bay Area devoted to divorce without court. RACHEL HAWK, M.S., C.R.C., D/A.B.V.E. Graduate Business Course Vocational Economic Analysis (Spring 1997), Marylhurst College, Marylhurst, OR. 1994 – Present: Vocational Expert. Called upon to provide expert vocational opinion in personal injury, workers compensation, employment law and marital dissolution cases. Evaluations include determining employment marketability by transferable skills assessment and testing. This involves looking at all possible skills which can be used in any new employment and conducting labor market research to determine earning capacity and market conditions. Assessment of opposing expert’s relevant documents and/or testimony. Detailed wage loss analysis when medical restrictions apply. Deposition and trial experience. Asked to be the first vocational expert member of the Collaborative Council of the Redwood Empire. 1982 – 2002: Owner Work-Wise a full service vocational counseling and evaluation firm. Providing comprehensive vocational rehabilitation services to the workers’ compensation insurance industry. Services included assessing and researching vocational alternatives based on post-injury medical data, transferable skills, and a variety of testing. Labor market research analysis and job placement services. Testimony on rehabilitation issues for Workers Compensation Appeals Board. 1977 – 1982: Rehabilitation Specialist State of California Department of Rehabilitation. Assigned a variety of unique cases, which required being responsible for developing and implementing individualized plans for academic, vocational re-training and job placement of individuals with psychological and medical impairments. Worked closely with physicians and psychiatrists to develop specialized rehabilitation services. Member of a panel discussion on “How to use a Vocational Expert” Family Law Section of the Sonoma County Bar continuing education luncheon September 2006.